Supreme Court Justice Ruth Bader Ginsburg is home from the hospital Friday, just over a day after fracturing three ribs in a fall in her office at the court, the court said. The court said Friday that Ginsburg, 85, "is doing well and plans to work from home today." The court's oldest justice fell Wednesday evening, according to the court. She called Supreme Court police to take her to George Washington University Hospital in Washington early Thursday after experiencing discomfort overnight, court spokeswoman Kathy Arberg said. She was admitted to the hospital for treatment and observation after tests showed she fractured three ribs. She stayed overnight. Trump wished Ginsburg well on Friday, telling reporters outside the White House, "I wouldn't say she's exactly on my side, but I wish her well. 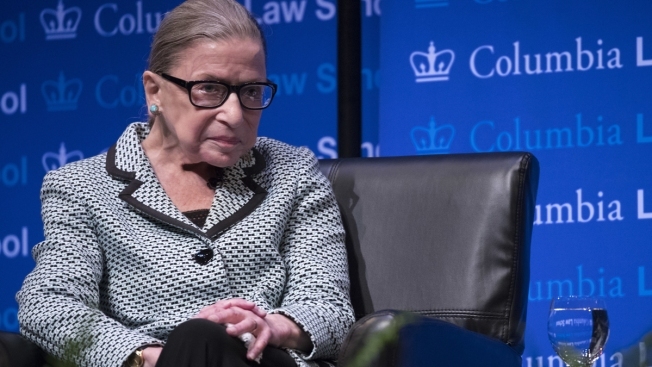 I hope she gets better and I hope she serves in the Supreme Court for many more years."